Over the years we have provided educational resources to young conservationists and educators around the world. 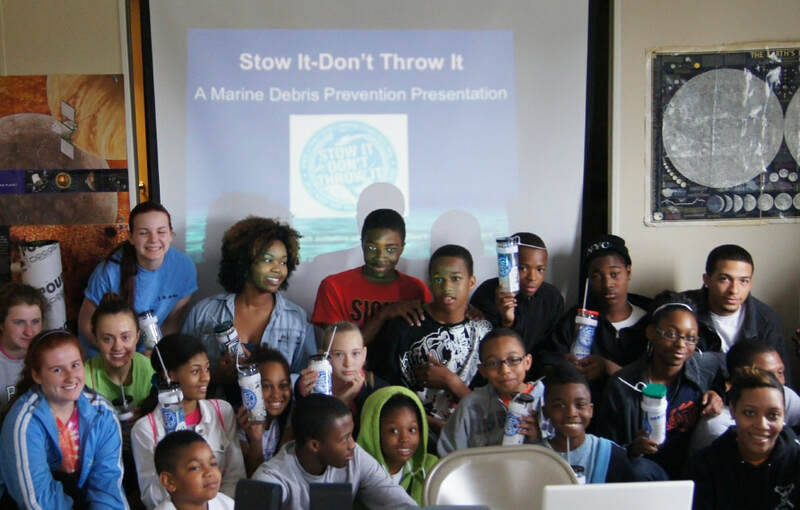 Our Stow It-Don’t Throw It – Marine Debris Prevention Presentation is an educational outreach presentation designed for both students and educators to use to teach people of all ages about marine debris, its impacts on wildlife and the environment, and strategies for marine debris prevention. An accompanying educational booklet on marine debris prevention is available to supplement this presentation, or act as a stand alone educational tool. If you would like to sign-up to share this presentation in your community, and teach others about the importance of marine debris prevention, please complete the form below and provide us with your contact information, along with additional details about your plans to use this resource. One of our team members will reach out shortly via e-mail with the complete presentation resources. Thanks for your commitment to protecting our planet's marine ecosystems!